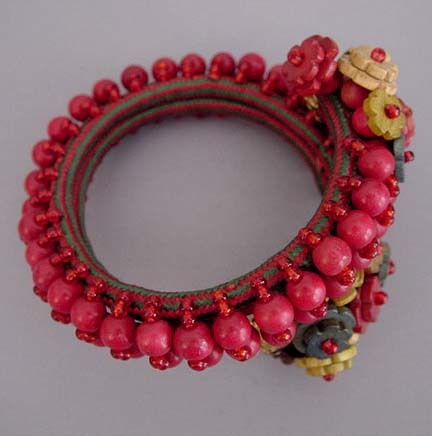 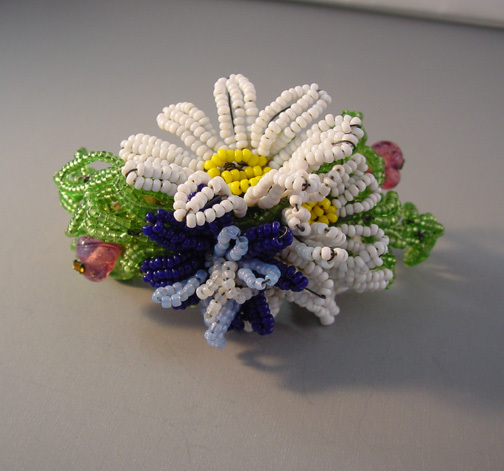 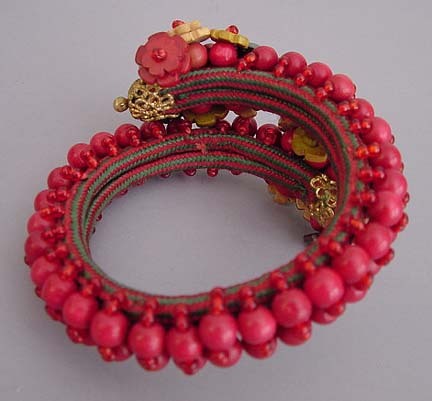 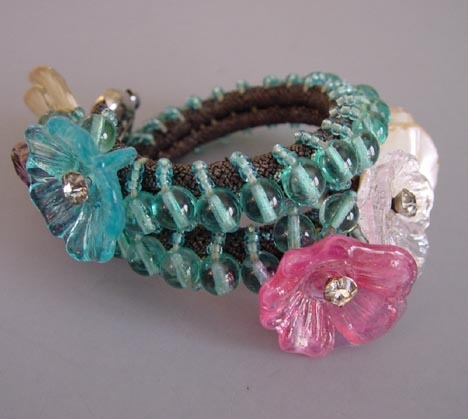 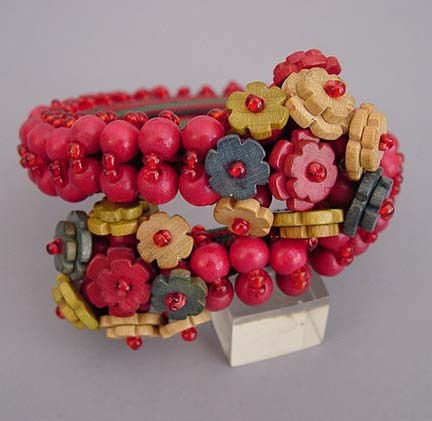 MIRIAM HASKELL Hess wooden red, charcoal and natural floret shaped and red round beads and glass seed beads sewn onto a a red and green fabric-covered coil bracelet with gold tone filigree tips, 9" coil with overlapping 2" front, 1/2" at back. 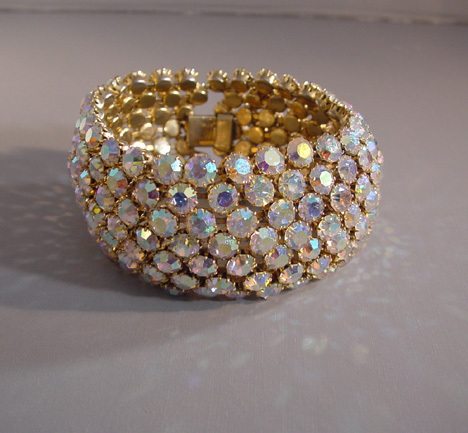 That means it will fit almost any wrist size! 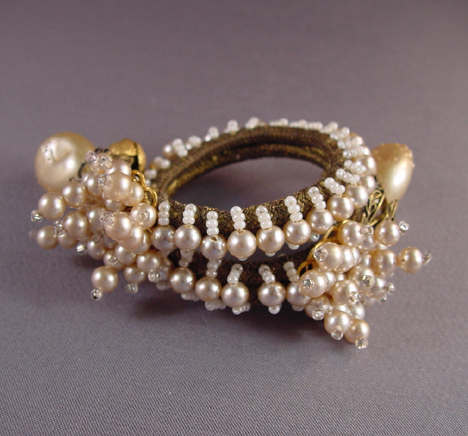 A Frank Hess for Miriam Haskell, it is unsigned as was typical for this era, circa 1940, and in excellent condition.